The Tecno Camon C8 sounds more like a Camera name than a Smartphone. 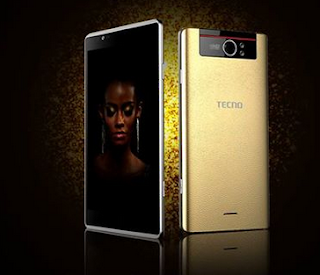 But a new smartphone from Tecno Mobile it is featuring a 13MP rear camera and 5MP Front Camera with flash. The manufacturer hypes the phone as a Camera centric Smartphone. Aside the Camera capabilities, Camon C8 which is a technically upgraded version of the Tecno Camon C5 features a 5.5 inch HD IPS display, 1.3GHz Quad processor, Android 5.0 Lollipop, 3000mAh battery, 1GB RAM, 16GB ROM expandable to 32GB via MicroSD card. The Tecno Camon C8 is very stubborn device when it comes to rooting, because the popular and easiest apps such as Kingroot, Vroot, Framaroot, Tecnoroot, Rootgenius etc., are not working for it. The below tutorial will guide the Tecno Camon C8 users to Root and change the IMEI of their Smartphone. After rooting your phone, it’s advisable to unroot before performing an OTA update or restoring factoring settings. All Credit goes to Team Hovatek for providing this guide in rooting Tecno Camon C8. To Change Your Tecno Camon C8 IMEI to BB IMEI. Note: It's not a must for you to root your Tecno Camon C8 before you can change it's IMEI, the below method of changing IMEI can work for your Tecno Camon C8 without rooting it, but rooting your phone will make you enjoy your phone the fullest.